This entry was posted on January 7, 2016 by Posturite. Last year, Posturite set out to donate to good causes all around the country and to give back to our community. 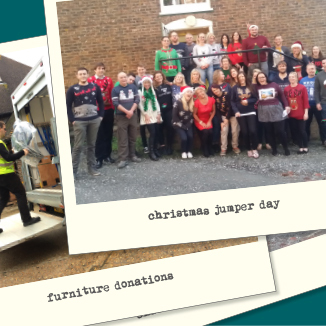 Our social and charity committee organised events for Love in a Box, a food bank local to our head office, Children in Need, Shelter, the Dryathlon, donated to FurnitureNow, Stand Up to Cancer, and countless local individual causes. We’ve donated products, time and cash to loads of great causes over the course of the year. Keep up to date with all of our charity events via twitter. Follow us at @Posturite and keep an eye on our blog this year to see what we’re up to!